Novices and experts alike will be able to jailbreak their iPhone 4S and iPad 2 with ease when Corona A5 launches. If you are fed up watching your Android-toting mates stick whatever they fancy on their phones while you're locked down to Apple-approved software, there is light at the end of the tunnel. The iPhone Dev Team has announced that its Corona A5 tool, for jailbreaking the latest Apple devices, will be released soon, with the team just finishing off and streamlining the user experience. 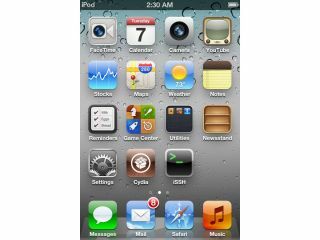 The iPhone 4S and iPad 2 have proved more of an issue to jailbreak, as Apple changed its approach when constructing the latest models, in an attempt to make them resistant to hacking attempts. Novices usually shy away from such technical complexities, but the Dev Team report that Corona A5 will provide guidance to virgin jailbreakers, via both a simple GUI for PCs and Macs and a command-line interface, while also providing suitable access for the battled hardened expert. If you are new to this whole jailbreaking lark you may be wondering, what's in it for you? Jailbreaking your iDevice will allow you to access a whole host of additional apps which were not allowed through the App Store's strict entry rules. You will also be able to customize your visual experience, changing the appearance of icons, wallpapers, themes, keyboard and lots more. Is it worth all the effort though? If you want this sort of flexibility, perhaps purchasing an Android phone may be a more sensible option. Let us know your thoughts below. Please Note: the legality of jailbreaking your device is still up in the air in some countries - so TechRadar does not recommend jailbreaking your device if you want to maintain your warranty with Apple and keep your phone running as Cook's troop intends.